Heather Blevins, Lassen Library’s new director, and its staff have a huge task ahead of them. 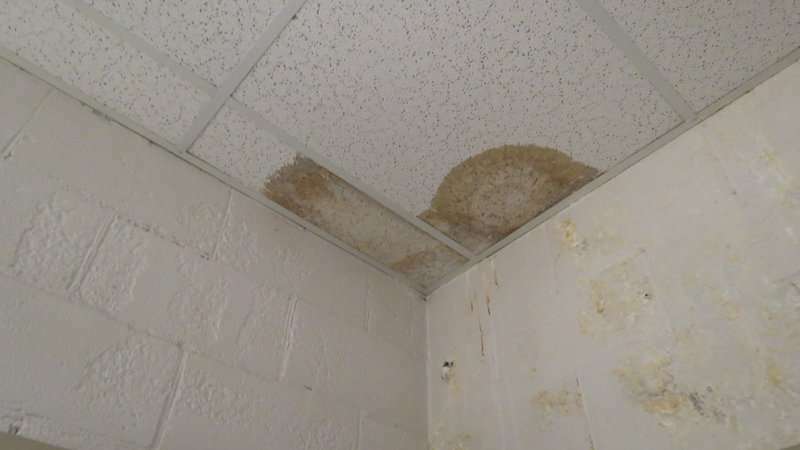 Since mid-January, the library’s roof, covered in slushy snow, has leaked all throughout the building, leaving the staff to cover areas in tarp. All over the library, patrons can clearly see the damage wreaking havoc. Instead of a background of experience in libraries, Blevins is a former civil engineer with the U.S. Forest Service. The new position and career, while completely different, have a few commonalities with her current one. 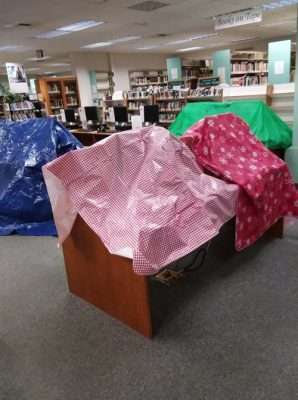 If you follow the library’s Facebook page, you have seen the tarp-covered rows of books and computers. To save the library’s materials from a caving ceiling, staff has had to move around heavy bookshelves. For the whole month it seemed a new spot would show up daily. However, the library was in some way lucky. The leak occurred on a day where the library was scheduled to open, and had it not been so, it would have caused further destruction. If the roof of the building had more slope, more of the slush would have came right off. This caused the moisture to seep through all over the building and not in one particular location, making it difficult to plan or anticipate a singular location of focus. The staff was then tasked with removal of the slush from the roof and keeping the drains clear. As of now, the library is working with and waiting on the results of its insurance company, due to have met on Monday March 18. The grants used to fund the literacy program staff is strictly for use of the program and not library facilities, meaning zero dollars to fix the roof. Depending upon the verdict of the insurance company, the library will look to start its fundraising efforts with a two-week book sale. Through the nonprofit charitable organization, Friends of the Library, the library receives grants to fund certain programs. Since 2006, the group has contributed more than $50,000 in support of the library. In 2018, they received grants from Ross, WalMart and US Bank. The group’s mission is to stimulate public awareness of the library through community advocacy activities and to provide financial, material and volunteer support for the library’s programs, services and facility.